You’ll hear a lot of players talking about “break up” (when the guitars volume begins the push the amps tubes into overdrive). It’s a pretty important thing for blues/rock players who control how much of their tone is clean or dirty with their volume knobs. But for a the majority of modern players who rely heavily on effects, we don’t need breakup so much as we need a really clean sound (maybe with an effects loop). Knowing the type of player you are will determine the amp you need. It’s Sunday morning at Average Town Community Church and the sound man is breaking into a cold sweat because you’ve just rolled a Marshall half stack into a room that holds 75 people. Wrong amp for the wrong room. Or it’s Sunday Morning and you’ve just rolled in with a small 4 watt amp that’s cranked dirty, but the band is doing a set that’s pretty chill. Right amp for the Room, but it’s the wrong amp for that sound. So what sound do I want? Well, I want a really clean amp for my pedals, especially when I’m in the band and not leading the band. But when I am leading the band, I like the amp to “drive” a little bit. So I’m looking for something with some flexibility. But if I have to make a choice I’ll pick clean over flexible because I can get that “drive” with a pedal. If you’ve got $500 to spend then look for the best amp in that price range. Sounds simple right? But if you’re a Vox amp guy and you’ve only got a Budget of $500 then you’ll find a wider (and better IMO) range of options in the Fender line of amps (both New and Used) than in the Vox Line. I preach this a lot on this blog. I started with a cheap Fender acoustic guitar. Then I had a workhorse Takamine, then a Taylor, and now a Martin. That was a process of over a decade. Don’t feel the pressure to exceed your budget just because you really want that one amp. Think long term. If you need an amp right now, then get the best one you can afford right now, then start a savings plan for the long term purchase. 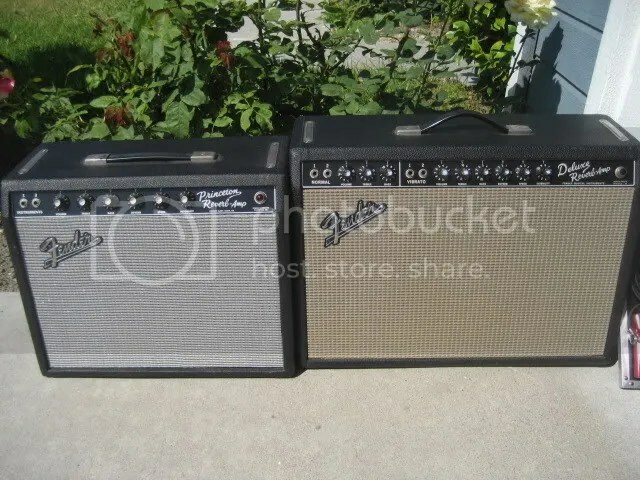 Let’s say right now you have a Vox AC15 or Fender Blues Jr plus $500 for a new amp. What you really want will cost you $1300. WAIT! Blues Jr.? You’ve got a great amp. You’re not in desperate need. Set that $500 aside and save up a little while longer. It’s better to wait a little bit and get the one you really want than to buy something you don’t really want and will only set you back in the long run from getting the right amp from you. Don’t talk about amps much on this blog – check out this awesome post.